First, I did not have any trouble last week downloading the clusters. Today's downloads worked quite well too. Thank you, they are lovely. The weather here has been quite cold most of the time too. Ah, but it is winter. Think Spring and hopefully it won't take so long to get here. It really is nice to have a day every now and then with absolutely nothing to do but relax. I probably did too much relaxing though, because just this morning I finally got the last of my packages to the Post Office. Phew! I just have a bit of wrapping left to do, but it is all for local friends and family. Woo Hoo! I love my quiet Holidays too. For years, I entertained lots of family and friends for Christmas, but now it is just me and Pogo. But it's nice because I can lounge around in my jammies and watch TV or do whatever I want. Now I think I'll make some supper for Pogo and me. You have a wonderful evening and week my friend. Big hugs, Edna B. Thank you so much for these beautiful graphics! Hello my friend! I am trying so hard to play catch up with my scrapping, but seem to be hitting walls of don't want to or it don't look like I thought...LOL I seem to be having too many of those days lately! i have been helping a friend that broke her leg in a fall from her bicycle...so my routine is kind of all out of whack lately! I agree with you, the quiet time at home with a good TV movie or a good book and good food with someone you love is much more comfortable for spending Christmas than the big parties and all the cooking and cleaning! Not boring at all! That will be exactly what my fur babies and I will be doing! LOL! Thank you for the new kit. It looks lovely so I will get busy finding pictures to make some new Scrapbook pages. I've been having a small bit of trouble with my Vertigo. One day it was very troubling to have the world spinning and my eyes wouldn't focus very well. So I sat in my comfortable recliner and closed my eyes until I felt the wobbly feeling go away. Just didn't think I be too safe driving my car to the store so I had my Grandson-in-law (Jess) pick up what I was needing. Might have to flush out the ears to take care of the problem. Going to see my doctor today so I'll ask her if the ears need flushing. Almost through the decorating. Jess was going to string the lights outside but it started raining and kept it up all day. Maybe today. 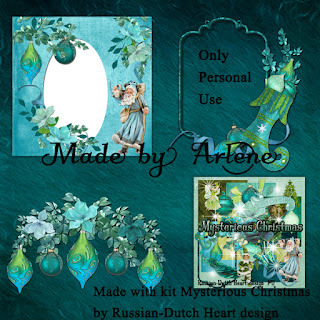 Thanks to you and Arlene for another very pretty Christmas kit. First of all let me thank you for the very pretty kit. I love those colours! I have been having migraines nearly every day for the past week to 10 days. I get the flashing lights in my eyes so I can't be on the computer. I sometimes wonder maybe too much computer causes it. Sure happy there wasn't problems with your bank card. Finished the last of my Christmas shopping today. I don't have many to buy for and I knew what I was getting so it was relatively easy to do. Have to get my daughter to drive me around as my car was written off a month ago. No more independence and I hate it! But not much I can do and I will be 77 in March so everyone is probably happy I don't have it anymore. Lol. Good luck in getting your tummy looked after. Always the bes to do. Hugs. The problem was with my browser. I switched browsers and now I can download your beautiful kits and clusters again! YAY! God bless you and Jan! I so enjoy reading your blog and keep you both in prayer. Kyra thank you for this beautiful kit and all the sharing you do through out the year, It is all ways so nice to read your blog. 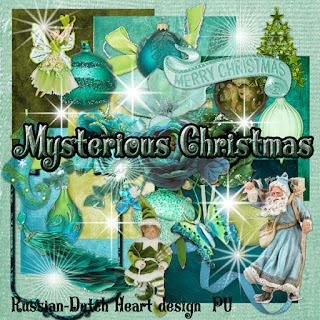 I wish you and Jan a very Merry Christmas and a wonderful New Year.